The history of Mayslack’s begins with Nordeast native Stashu Maslajek. Born to Polish immigrants in NE Minneapolis in 1911, Stashu – or “Stan” – developed a love of pro wrestling and moved to Chicago to make his mark. 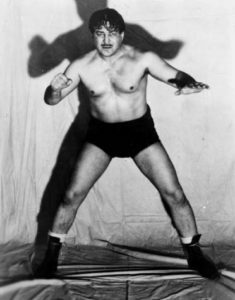 “Handsome Stan,” as he was known, was a crowd favorite in the Upper Midwest pro wrestling circles in the ‘30’s and ‘40’s. 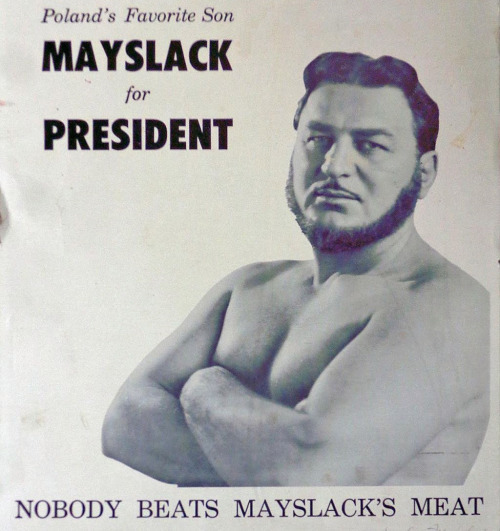 Along the way he American-ized the spelling of his Polish surname to Mayslack so it was easily pronounceable for wrestling fans. When his ring career ended in the 1940’s, Stan Mayslack continued for a time as a wrestling and boxing promoter. 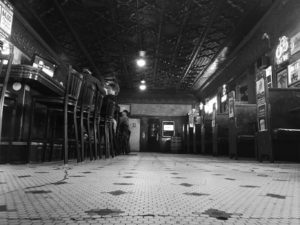 Minnesota tugged at his heartstrings, however, and in 1955 Stan and his wife Ann (who everyone called “Butch”) purchased an old tavern called Johnson’s in his beloved Nordeast neighborhood. Renaming it “Mayslack’s”, Stan began pouring drinks, hiring polka bands and serving his now-famous garlic roast-beef sandwiches. From the beginning, Mayslack’s was a partnership between Stan and his wife. With Stan making his sandwiches, Butch ran the till using a cigar box as their cash register. Stan and Butch lived in an apartment above the bar. 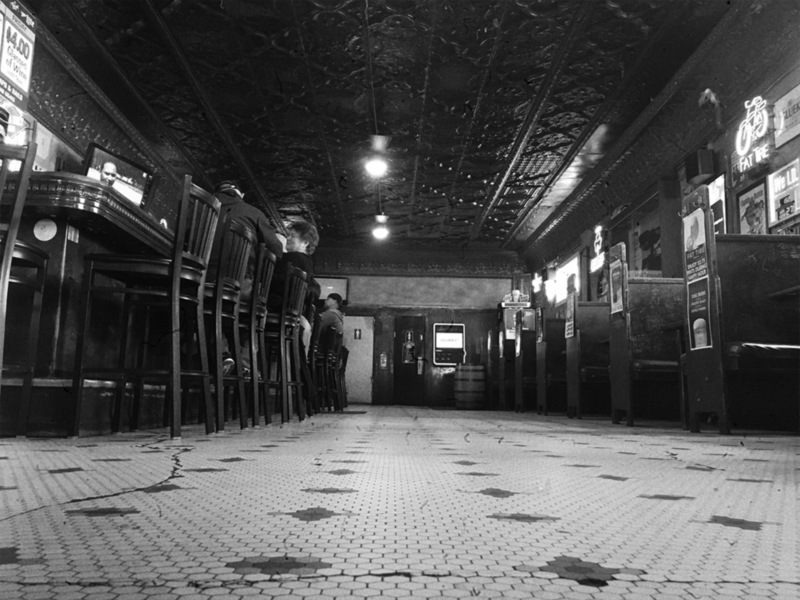 Many times while upstairs, Stan would call down to the bar wanting to know who was there, followed by a free round of drinks for the people he selected. Mayslack’s was famous for organizing bus trips to Gopher and Vikings games and Nordeasters liked to congregate at the bar on Monday evenings to play a card game called Smear. 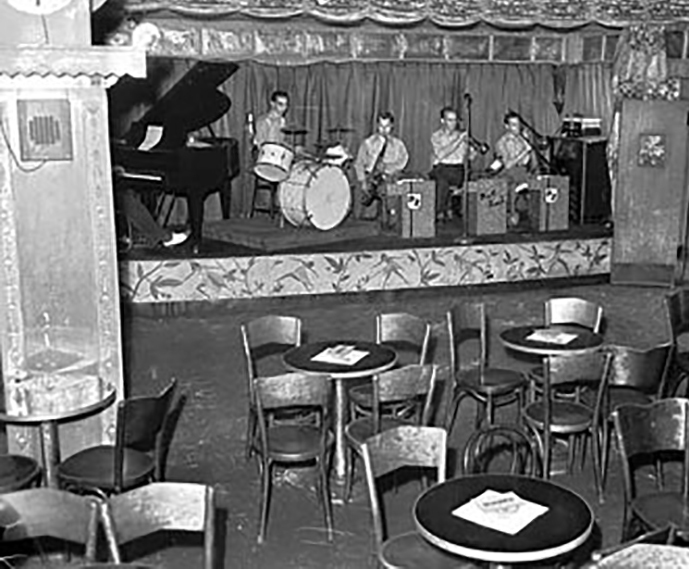 The three main ethnic groups that settled in the early NE Minneapolis neighborhood were Polish, Russian Orthodox and Czech, and it is their polka music that made what is now known as the Nordeast neighborhood unique. It is said that Stan Mayslack celebrated everything. He featured parties throughout the year for New Year’s Eve, Orthodox New Year, Valentine’s Day, Chinese New Year and more. These holiday parties were always a good excuse to have local Polish polka bands entertain, playing to overflowing crowds. 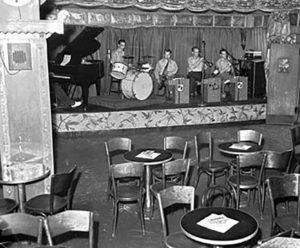 In fact, when it first opened Mayslack’s bar was listed in the phone book under “Mayslack’s Polka Lounge.” Polka bands from far and wide played regularly at Mayslack’s, and the venue’s rich polka history is widely noted. While you can still find polka in the jukebox, Mayslack’s has since its expanded its repertoire to include all genres of live local music. What has not changed, however, is that Fridays and Saturdays you can still find a packed house of live music lovers!